After my separation I had a difficult time finding suitable employment. I ended up doing temporary and seasonal jobs. Then, my worst nightmare happened. I lost my home of ten years. It wasn’t a big house and it wasn’t in a great neighbourhood but it was the only home that my daughter knew. 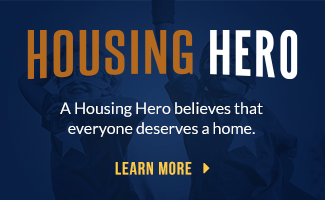 Without a job, and only minimal benefits from Employment Insurance, that were due to run out just before Christmas, I was not able to find adequate housing. No one would rent to me without references and without permanent employment. 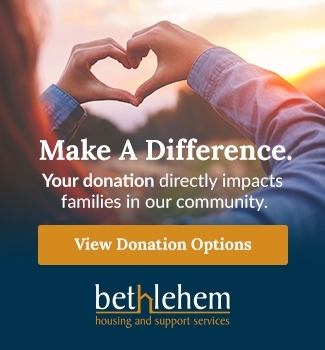 I was dealing with the worst — being homeless — when I was referred to Bethlehem Housing and Support Services. Through weekly meetings with a support staff person, I was able to come to terms with my situation. I attended weekly lifeskills meetings, which greatly helped put my own troubled childhood in perspective. I also attended other groups which dealt with co-dependency and relationship issues. Had you asked me a year ago if I needed any of these, I would have quickly said no, but I can now honestly say that Bethlehem Housing and Support Services finally “allowed” me to deal with my issues at my own pace and in a safe and compassionate environment. It was the first time in my life that I was given such an opportunity.